First off, I have to say that a felt-tip liquid eyeliner like Diorshow On Stage Liner is my favourite form of eyeliner. I have very oily eyelids, plus my lash line sits very close to my crease when my eyes are fully open. 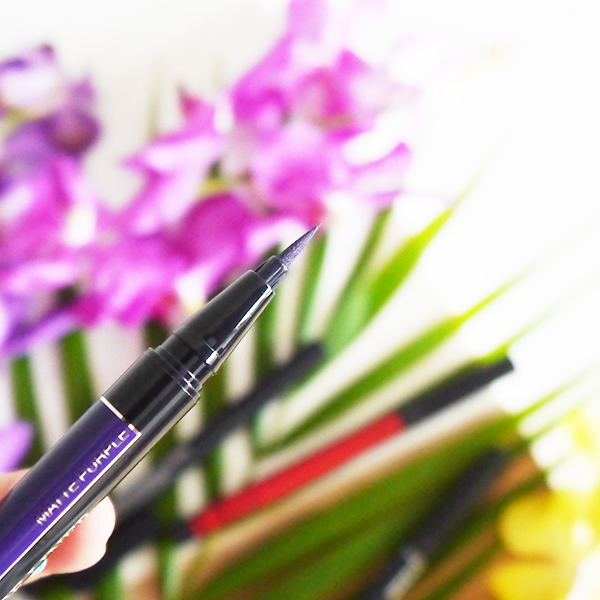 This is a potent double whammy that usually vanquishes the most stay-put of liners. Pencil liners don't stand a chance. Gel formulas are prone to smudging and the little brushes are too fussy. A stay-put liquid and a superfine felt tip are a winning combo of formula and form. Diorshow On Stage Liner also scores points for being available in 2 finishes (matte and pearly) and multiple shades, including some really fun ones like matte pink, pearly turquoise, and pop green. They're a fun way to add a graphic and colourful accent to makeup looks, or if your signature beauty look is a cat-eye, you can switch your usual black for a brighter hue or go with a something lighter like purple or bronze for summer. Swatched below from top to bottom: 466 'Pearly Bronze', 296 'Matte Blue', 176 'Matte Purple', 861 'Matte Red', and 091 'Matte Black'. 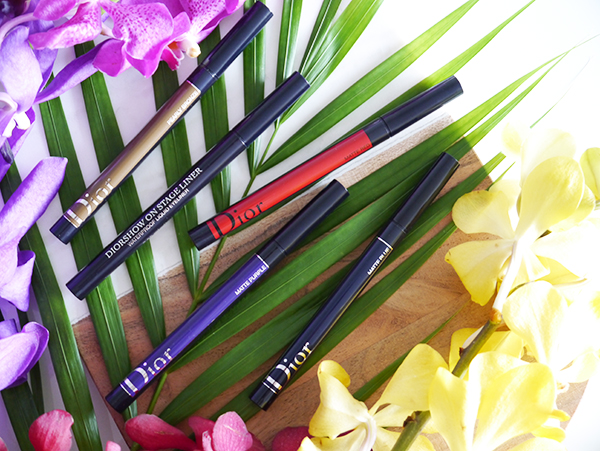 Just as you'd expect from a liquid liner, the colours are vivid and pigmented. Once they dried onto the back of my hand, these swatches were impossible to rub off. Unfortunately, Diorshow On Stage Liner didn't hold up as well when it came to my eyes. The results were mixed at best with some colours faring better than others and none of them living up to the 24 hours' wear claim. Of the fun colours, 'Matte Purple' and 'Pearly Bronze' were the best ones, staying put and fading slightly in the inner corners of each eye around the 8-hour mark. They were also the prettiest and most subtle alternative to black liner and complemented brown eyes beautifully. (The selfie below is of me wearing 'Matte Purple' on a particularly hot day.) On the other hand, 'Matte Blue' and 'Matte Red' were awful: They transferred all over my eyelids and looked more like coloured eyeshadow than liquid liner after less than an hour. Based on my subpar results, how in the world could Dior have claimed no-transfer and up to 24 hours' wear with this product? According to the press materials I received, the no-transfer claim came from clinical tests on 20 subjects. The 24-hour-wear claim came from consumer testing conducted internationally, in the US, and in Asia, in which 60 women wore Diorshow On Stage Liner in 'Vinyl Black' for one week. 78% of international consumers reported a no-transfer finish, as did 89% of US consumers and 82% of Asian consumers. That to me implies it's not the most stay-put across all ethnicities, eye shapes, and skin types. What's more, they only tested black liner which is a staple across a lot of makeup lines and therefore probably easier to formulate a no-transfer long-wearing version of. It sounds like they failed to test the fun colours as thoroughly. Was it because they were rushing to market? Who knows? 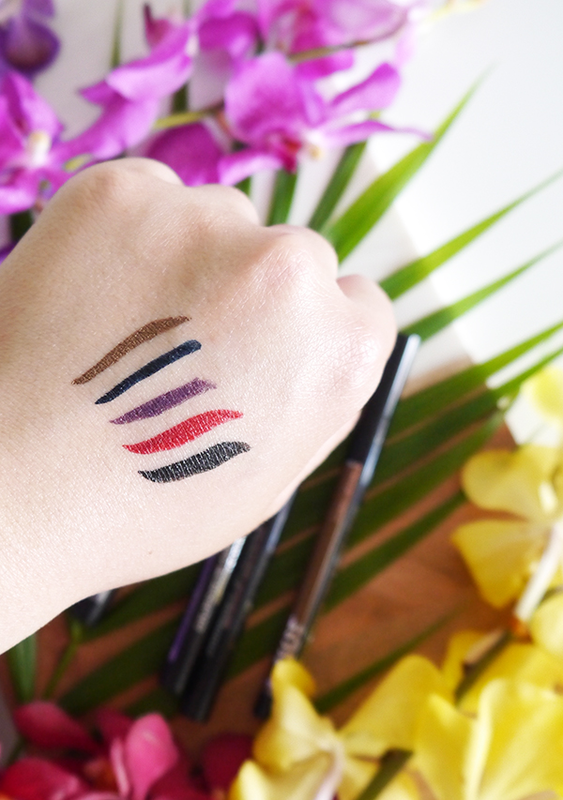 All the liners in this post were provided as samples for review, but if I'd paid $35 for a fun shade of liquid eyeliner from a luxury beauty brand and it smudged as terribly on me as the blue and red ones did, I'd be annoyed to say the least. Bottom line? 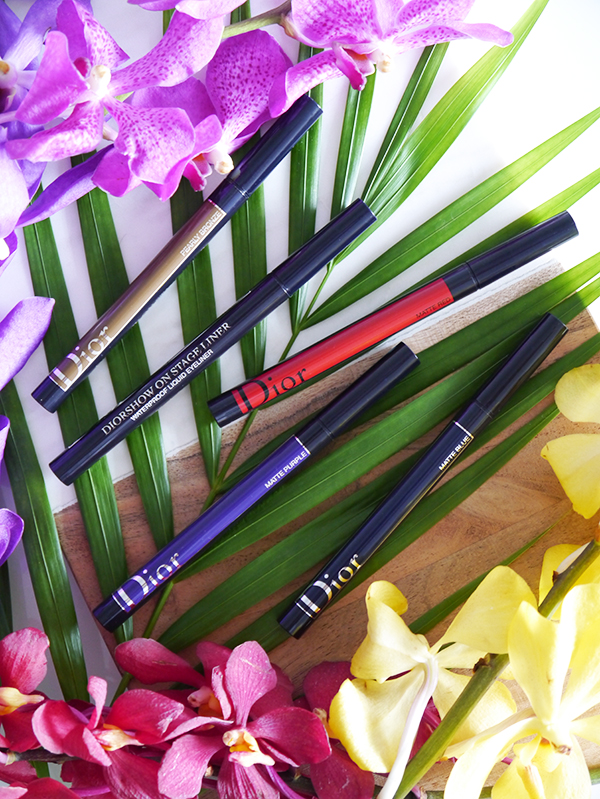 If you don't have oily eyelids and there's a lot of space between your lash line and your crease, Diorshow On Stage Liner could be worth a shot, especially if you're craving a fun liquid liner shade. I really liked how pretty 'Matte Purple' and 'Pearly Bronze' were as alternatives to black liner. 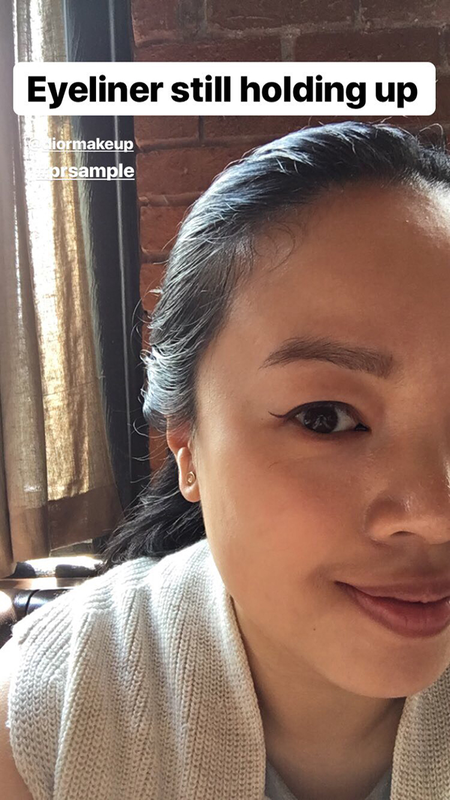 But if you want a felt-tip liner that will truly stay put, I recommend my Holy Grails Stila Stay All Day Liner and Amaterasu, which also cost less than the Dior version (always a bonus!). Hi I purchased this eyeliner last week But I somehow lost the cap can you give me a suggestion on how to bring it back to life because the tip dried out?? Sorry, can't help you there! If you purchased it from a major retailer like Nordstrom or Sephora and you still have a receipt, maybe you could try taking it back? They usually have very generous return/exchange policies.